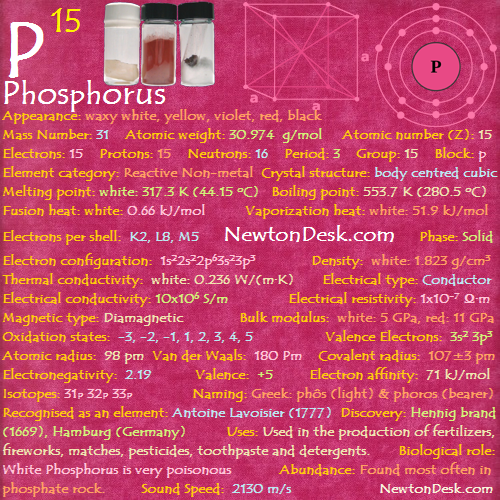 Phosphorous is a multivalent nonmetal of the nitrogen group, and it is found in nature in four or more allotropic forms (white or yellow, red or orange, black or violet phosphorus), where Ordinary phosphorus is a waxy white solid and the pure form of phosphorus is colorless or transparent. It is an essential element for the life of organisms. 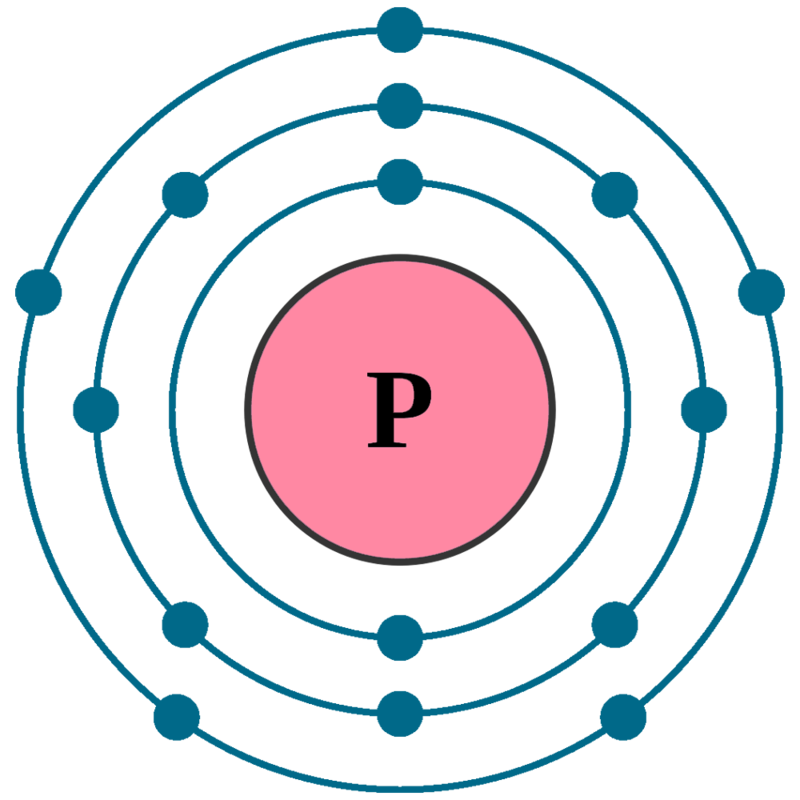 White phosphorus has two forms, alpha (α) and beta (β) with a transition temperature at (-3.8°C). It is insoluble in water (H2O), but soluble in carbon disulfide (CS2). It glows in the dark and takes fire spontaneously in air, burning to the pentoxide (P4O10). Black phosphorous, is made under high pressure and it looks like graphite and has the ability to conduct electricity like graphite. White phosphorus is used in flares & military applications (incendiary bombs, smoke bombs, tracer bullets, smoke screening etc..). Red phosphorus is used in the material (binder, powdered glass, & red phosphorus), which stuck on the sides of matchboxes, and when heat is generated by friction the red phosphorus convert to white phosphorus, which ignites spontaneously. The largest use of phosphorus compounds (Concentrated phosphoric acids, which may contains 70% – 75% P2O5) are used in fertilizers for agriculture and farm production. Ammonium phosphate ((NH4)3PO4) is made from phosphate ores, where the ores are firstly converted into phosphoric acids (H3PO4) before being made into ammonium phosphate. Phosphates (PO43-) are used in the production of special glasses, sodium lamps, in Production of steel, and some other applications, such as pyrotechnics, toothpaste, detergents (phased out in some countries), pesticides etc.. Bone ash (calcium phosphate, Ca5(OH)(PO4)3) is used to create Fine chinaware and to produce mono-calcium phosphate (CaH4P2O8), which is used in Baking powder. Trisodium phosphate (TSP, Na3PO4) is important as a water softener, as a cleaning agent, and for preventing boiler scale and corrosion of pipes & boiler tubes. 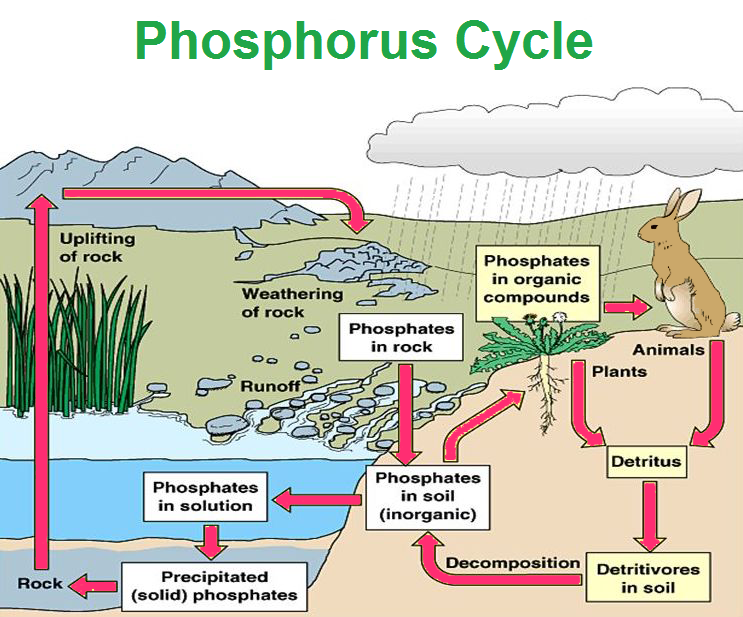 Phosphorus as phosphate is essential to all living things, even it is an essential ingredient of all protoplasm, nervous tissue, and bones. It forms the sugar-phosphate backbone of DNA & RNA . It is important for energy distribution in cells as part of Adenosine Triphosphate (ATP), and is found in many other biologically important molecules. We intake about 800-1000 mg of phosphate per day, and store about 650-750 grams in our bodies, since our bones & teeth are mainly calcium phosphate (Ca3(PO4)2). But White Phosphorus is very poisonous, even 50 mg is considered an approximate fatal dose. Exposure to white phosphorus should not exceed 0.1 mg/m3 (8 hour a day time weighted average (TWA), 40 hour work per week). White phosphorus should be kept in water because it is dangerously reactive in air and should be handled with tongs/forceps, as contact with the skin may cause strongly/severe burns. Over-use of Phosphate from detergents & fertilizers can cause them to pollute Lakes & Rivers, causing algae to grow rapidly. The algae block out the Light to stopping further photosynthesis, due to this, Oxygen dissolved in the water soon gets used up and finaly the Lake dies. 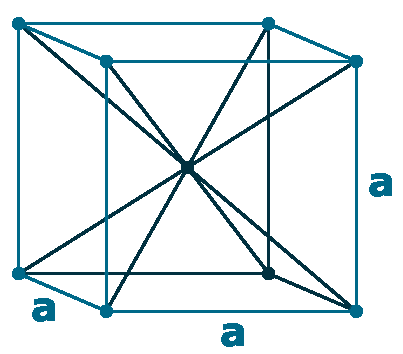 When it exposed to sunlight or heated to 250°C, it is converted to the Red form. This Red form of phosphorus does not ignite spontaneously in air and is also not as dangerous as white phosphorus. However, it should be handled with care, because it does convert to the white form at some heated temperatures and that time it emits highly toxic fumes of the oxides of phosphorus. 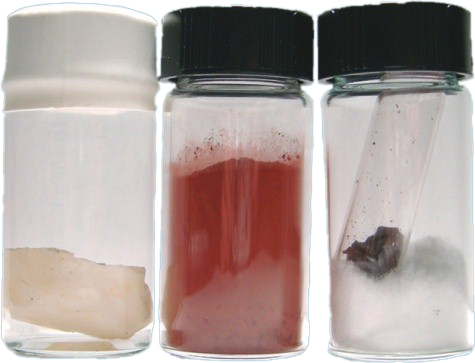 The red form is fairly stable and sublimes with a vapor pressure of 1 atm at 170 C.
Phosphorus is not found in pure form in nature, but is widely found in compounds (phosphates, PO43-) in minerals. 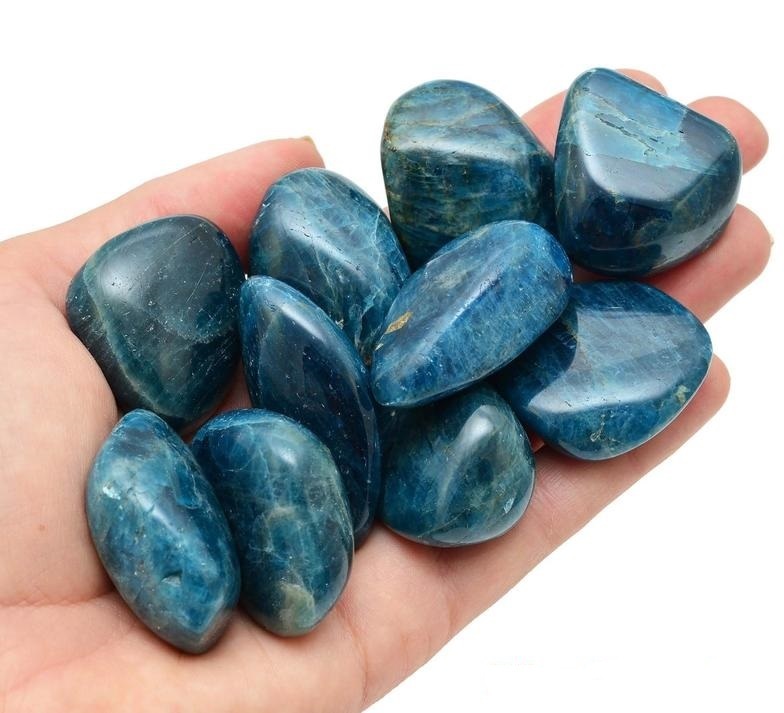 Phosphate rocks is the important source of the element, which contains the Apatite (Ca5(PO4)3(F,Cl,OH)) minerals. Some scientist believe that as per our rate of consumption of this element, a “peak phosphorus” will occur in around year 2050, and reserves will be depleted in the next 50 to 90 years. There are serious concerns that, how long ‘peak phosphorus’ will occur in future, after which our sources will dwindle (decline). In this case, there could be a serious problem for the worlds food production, Because phosphorus is an essential ingredient in fertilizers. White phosphorus is commercially manufactured by heating phosphate rock in the presence of carbon & silica in a furnace, where phosphorus produced as a vapour, which is then collected under water. Red phosphorus is made by slowly heating white phosphorus to about 250°C in the absence of air. Annual world wide production is around 287 million tonnes, and World wide Reserve is around 70 billion tonnes.